Made to current UK MoD specifications, this heavy duty survival knife is an excellent tool in disaster or survival situations. It is a common component in the RAF's Personal Survival Packs (PSPs) for downed aircrew and is also widely used by the Royal Marines both in Norway and warmer operational climates. 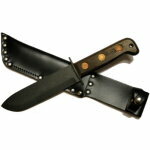 The 175mm carbon steel blade is 6mm thick and has an anti-reflective phosphate finish. 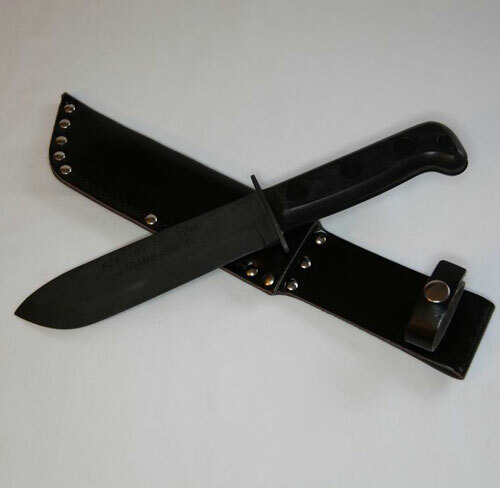 The comfortable low visibility Black Fiber handle is firmly attached by 3 large rivets and the knife is housed in the standard stitched and riveted leather sheath. 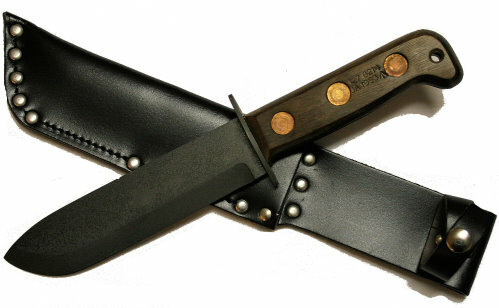 NATO stock numbers and MoD markings are visible, showing this item to be an approved in-service item.